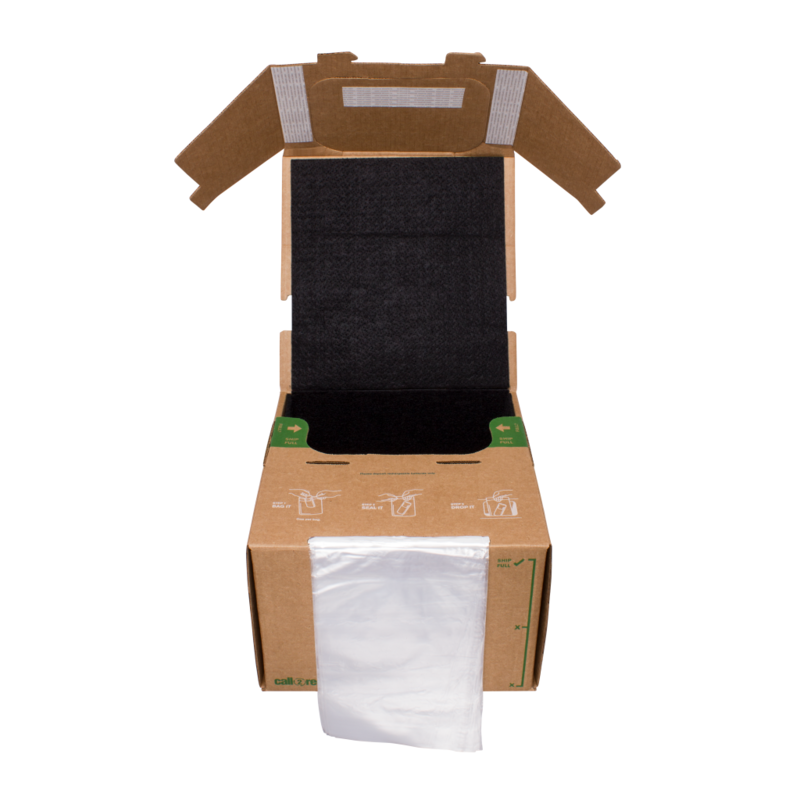 Call2Recycle’s U.S. collection boxes now include a flame retardant box liner. The box liner offers an additional layer of protection should a thermal event occur during the battery jounrey – collection to transportation to sorting and processing. For more information, click here. 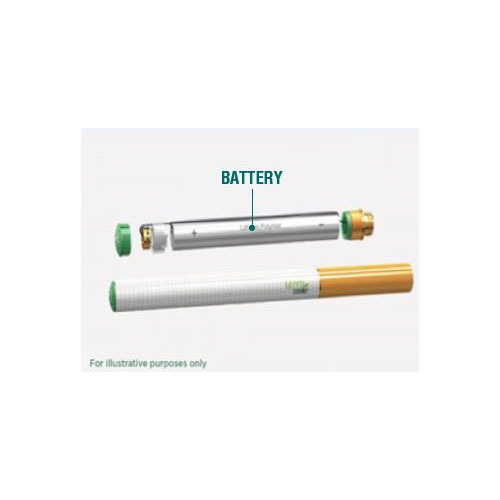 Call2Recycle accepts batteries from electronic cigarettes. We do not accept the cartridges or devices. To view our electronic cigarette policy, click here. 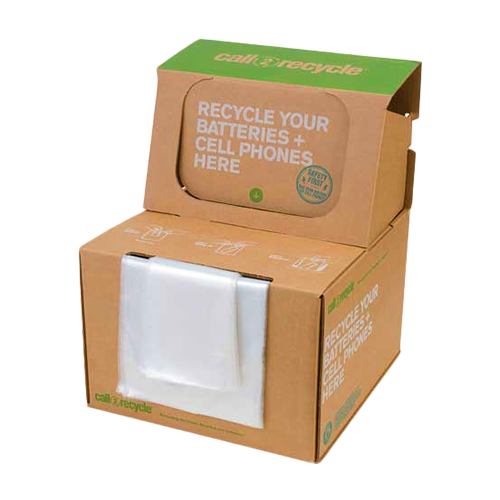 The Call2Recycle Box Shipping Guidelines and Minimum Terminal Protection Quick Reference Guide for Boxes provide detailed instructions for preparing both your batteries and boxes for shipment. The Call2Recycle Bulk Shipping Guidelines and Minimum Terminal Protection Quick Reference Guide for Bulk provide detailed instructions for preparing both your batteries and pallets for shipment. 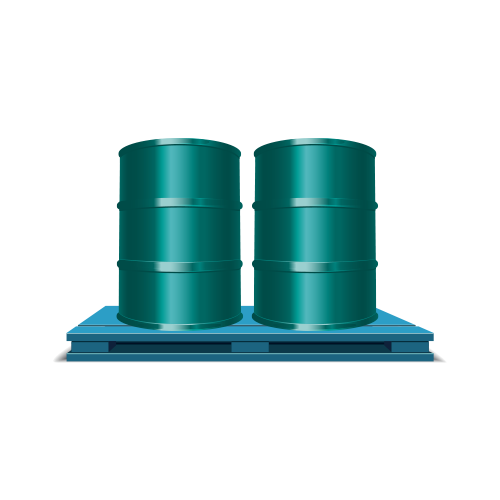 Visit the bulk shipping wizard to arrange transportation to a sorting facility.